Pretty much everyone in the South fights about who’s got the best pimento cheese recipe. Make this if you want to put the debate to rest. It’s excellent piled on top of a burger, too. 1. Roast bell pepper and jalapeños over a gas flame, turning often, until skin is blistered and charred all over, 5–10 minutes. (Alternatively, broil on a rimmed baking sheet.) Transfer to a medium bowl and cover with plastic wrap; let steam 10 minutes. 2. Peel and seed peppers, then finely chop. Mix mayonnaise, Worcestershire sauce, cayenne, and paprika in a medium bowl. Fold in cheddar and chopped peppers; season with salt and black pepper. 3. 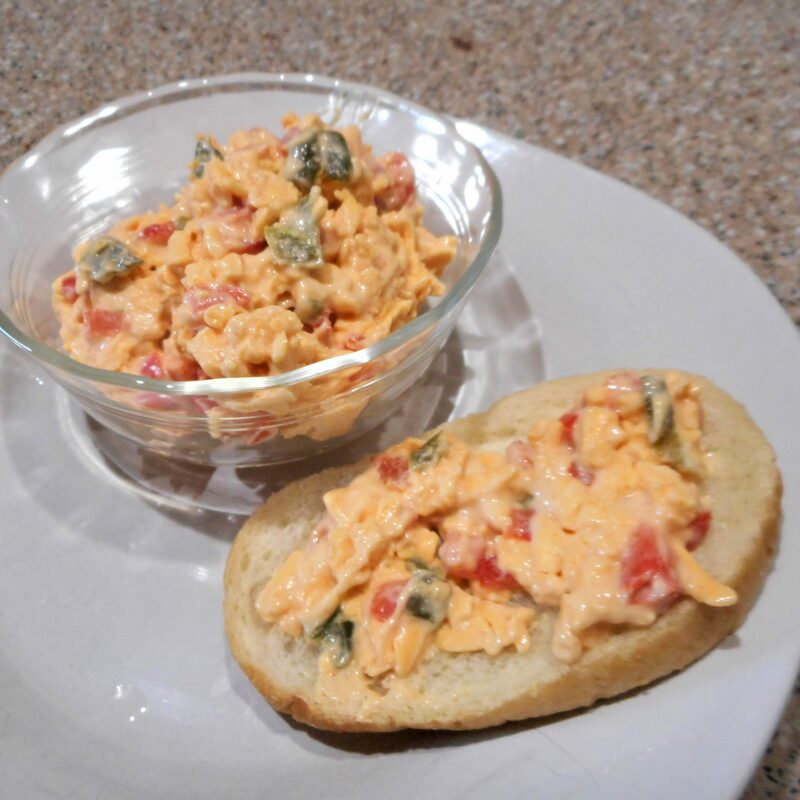 Do Ahead: Pimiento cheese can be made 5 days ahead. Cover and chill.